"Sun Valley has retained a sense of an old mountain town, charming....wonderful community...sophisticated shopping and restaurants..no lines..crowded only during holidays and then compared to other resorts minimal...a secret heaven...skiing fantastic...great mountain...all in all a wonderful and delightful experience." "Telluride is beautiful, as soon as we left we were already looking forward to going back! The town itself has a beautiful charm, filled with amazing restaurants." 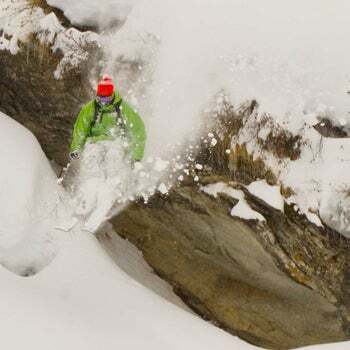 "Taos is a throwback in time, has unreal terrain and a Bavarian feel. The balance between the old and the new is best in class! They are maintaining the old charm while leaping into the future." "A huge, friendly, and still-uncrowded gem in the Northern Rockies! Consistent snowfall throughout the season and with the exception of Christmas and President&apos;s week, never any lift lines. The very friendly town of Whitefish, just 10 minutes away from the ski hill is a great place to both stay, dine and enjoy the local flavor of Western Montana. Whitefish is still an authentic Western town." "Jackson Hole is not only my favorite ski resort, it&apos;s my favorite place on Earth. The terrain, the town, the locals, the food scene, the lodging, the moose, the Mangy Moose, the non skiing options, the tram, the consistent heavy snowfall years, etc. all make Jackson a very special place and one that will continue to pull me back and always be so welcoming when I return." "One of my favorite places in Colorado. Love the charm of the town of Crested Butte without the glamour and pretentiousness of the bigger resorts." "Was at Steamboat at Christmas time and the whole town was decorated perfectly, in an old-timey, Wild West way. Excellent." "A real town, lots of history and local flavor. Charming, great skiing, lots to do. Always something fun going on in the town and on the mountain." "Great town and still true to its rich mining history. Much of this history is still visible on the mountain." "I love Beaver Creek because my wife doesn&apos;t ski and she has plenty of opportunities to experience the charm of a ski town."